The latest version of the Fingera mobile app allows users to utilize all the features of the approval system. Employees can ask for a holiday, or even report a visit to their doctor. Furthermore, managers can handle their subordinates’ requests almost instantly. Fingera makes all these conveniently possible via their own smartphones. Simply put, you save time and energy. You don’t need to fill in forms. You can request holidays, work from home, sick days, or doctor’s visits from your mobile. All requests processed are automatically recorded in the attendance report. 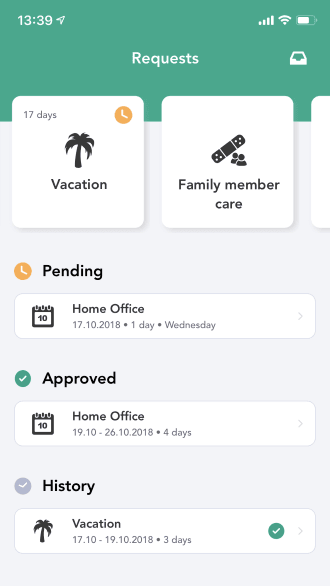 With the Fingera mobile app, you always have an overview of the current state of requests, including a history of processed requests. You can also check current entitlements for holidays, doctor’s visits, or work from home at any time. You can find the current data with one tap in the application. You will always be notified about a request created or processed – whether by email or by push notification. 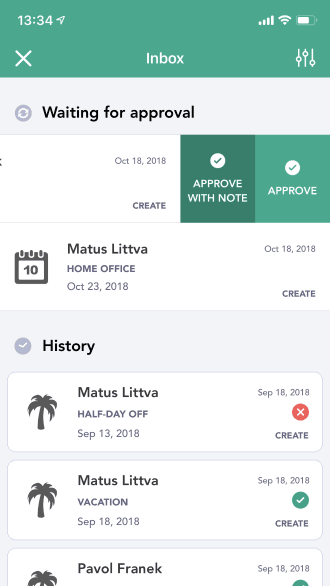 In the new Requests tab, the user simply selects the type of absence and then marks the duration at the next step, with the current entitlement remaining displayed on the screen. Once confirmed, the request is sent for approval. The applicant will be notified once it is processed. The manager is notified about the newly created request. Requests which need to be processed are clearly shown as waiting. 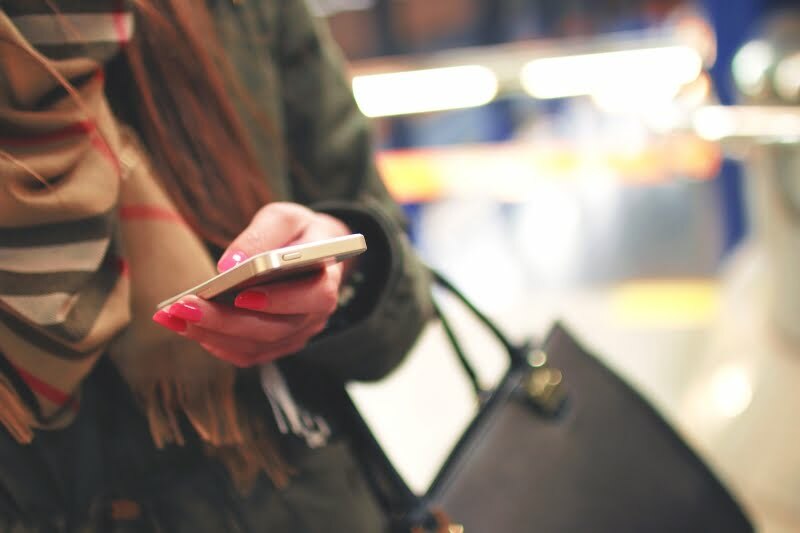 By swiping left or right, it is possible to quickly approve or reject a particular request. If required, the manager can review the requests already approved, which are shown in the history. The Fingera mobile app is available on Android and iOS. If you are interested in the Fingera Approval System, don’t hesitate to contact us.